BALTIMORE, MD --(Marketwired - July 14, 2016) - The Centers for Medicare & Medicaid Services (CMS) recently released the proposed rules for the 2017 Medicare Physician Fee Schedule (MPFS) and the 2017 Hospital Outpatient Prospective Payment System (HOPPS). Both proposed rules provide information on physician and hospital payment for the newly created CPT code 630X1 for endoscopic decompression of the lumbar spine. "This is a great step towards the acceptance of endoscopic minimally invasive spine surgery techniques and their benefits to both the surgeon and their patients in the U.S.," said Wolfgang Ries, Founder and CEO of joimax®. This announcement is in alignment with the reimbursement decision of NICE, UK, in April of 2016, to fully reimburse endoscopic procedures. A key reason for the recent momentum for endoscopic, minimally-invasive spinal surgery is the significant, favorable base of literature, which validates evidence of the efficacy of endoscopic minimally-invasive spine surgery. A special edition, "Neurosurgical Focus", published by the Journal of Neurosurgery (JNS) in February 2016, contains a range of studies on endoscopic spine surgery. Founded in Karlsruhe, Germany, in 2001, joimax® is the leading developer and marketer of complete systems for endoscopic minimally invasive spinal surgery. 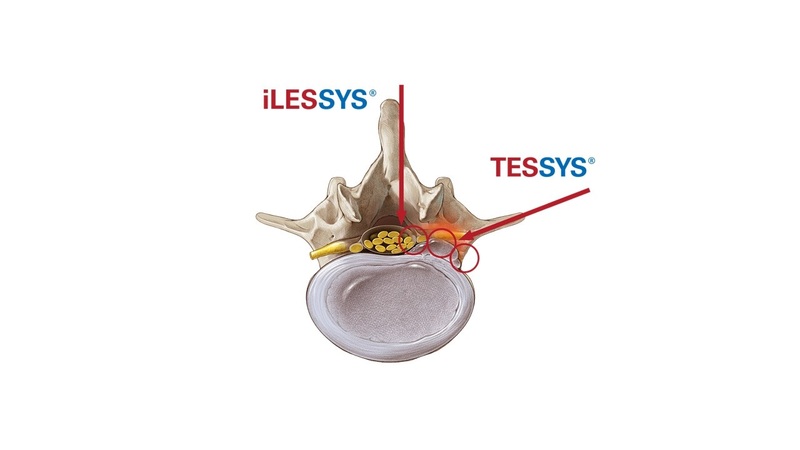 With TESSYS® (transforaminal), iLESSYS® (interlaminar) and CESSYS® (cervical) for decompression procedures, Multiuse RT (e.g. for rhizotomy) or with EndoLIF® and Percusys® for minimally-invasive endoscopic assisted stabilizations, proven endoscopic systems are provided that, together, cover a variety of indications. In procedures for herniated disc, stenosis, pain therapy or spinal stabilization treatment, surgeons utilize joimax® technologies to operate through small incisions -- under local or full anesthetic -- via tissue and muscle-sparing corridors through natural openings into the spinal canal (e.g. intervertebral foramen, the "Kambin triangle"). The Centers for Medicare & Medicaid Services (CMS) recently released the proposed rules for the 2017 Medicare Physician Fee Schedule (MPFS) and the 2017 Hospital Outpatient Prospective Payment System (HOPPS).